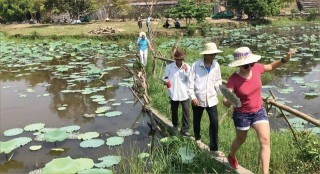 » Building "Hue – a city of four seasons of flowers"
In addition to Nguyen Dinh Chieu walking street, the new ironwood-tiled walking street along the Huong river has become a highlight on Hue’s tourism map. But that is not enough. The big question is how to give this pedestrian space of Hue its hallmark and characteristics that are distinctive with the similar constructions in other places. 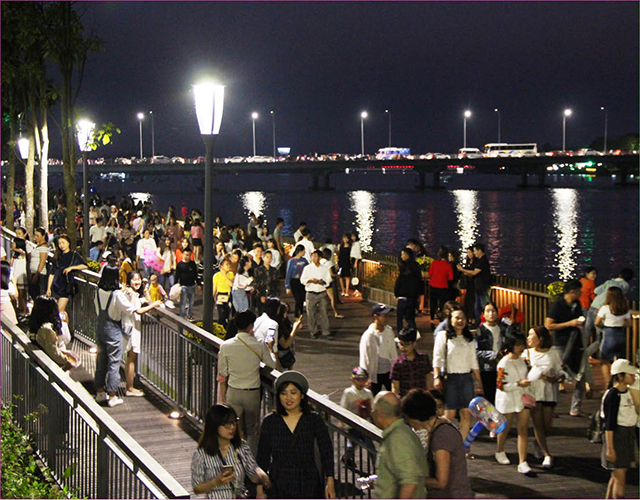 Immediately after its completion, the walking street by the Huong river has attracted a lot of attention from locals and tourists. They come here to enjoy the sceneries, breathe fresh air and take nice photos, etc. In the perception of many people, this is a very special walking street that Hue has erected: adjacent to the poetic river that flows through the city center, close to the French buildings with vintage architecture functioning as museums and art centers, as well as connected with the open space of the nearby parks. 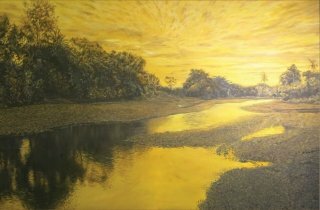 “We have a very clean and peaceful space that is definitely different from the typical bustle and hustle of urban areas. 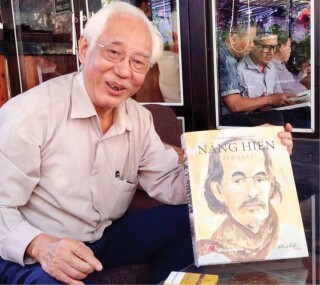 This is a highlight of Hue city that helps to improve the people’s quality of life,” said Mr. Nguyen Thanh Ngan (Hue city) when talking about the walking street locating right in the heart of the city, where he comes to walk every day. 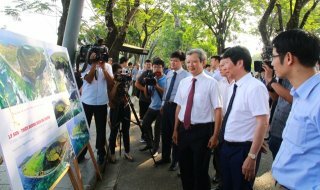 According to Mr. Nguyen Viet Bang, Head of Hue city’s Department of Urban Management, immediately after the two walking routes are officially open, Hue city People's Committee has issued provisional regulations on their operation in order to maximize the effectiveness of the two walking routes as well as of the surrounding park complexes, including the February 3 park, Phan Boi Chau park, Four Elephants park, and Ly Tu Trong park. Hue city’s Center of Trees and Parks is temporarily assigned with the corresponding management responsibilities, with a view to ensure the meeting of all requirements concerning social security and order, culture and arts, environmental sanitation, construction landscape, technological infrastructure, (green) trees, and business activities and services, etc. If cultural and community activities are to take place on the walking street as well as in neighboring areas, permission from authorities has to be obtained. This is to ensure that these activities are organized in a cultured and proper manner, in line with our country’s good customs. 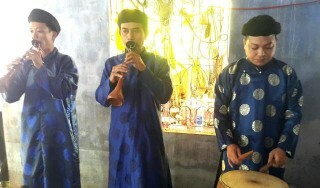 Particularly, priority is given to events that showcases our national cultural identity, emphasizing on the promotion and introduction of national musical instruments, street symphonies, street art performances, folk magic, cultural exchanges, performances of traditional martial arts and sports, etc. For many people, supplementary services in the walking street by the Huong river need to be well selected. To be well fitted with this luxurious and elegant space, ‘delicious and exquisite dishes’ must be available. Here, apart from a quiet and clean space that pedestrians long for, there need to be cultural products and services that can magnetize tourists. 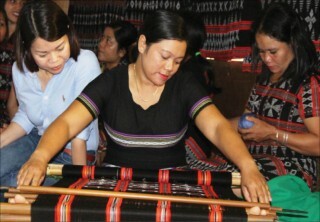 It should be the space of festivals, where art and cultural shows are held often, where stores are uniquely decorated to sell Hue traditional handicraft products and specialties - as a way to help enterprises to do business and to promote the values of Hue to visitors at the same time. In addition, it is about time for the museums on Le Loi street to open at night to visitors; as well as to remove their barriers at the back to get merged into the walking street’s space. This connection between the museums and the walking street will create an impressive highlight for Hue’s night life. “The walking street is not just for people to come to have a walk, take a few photos and then leave; and, at the same time, it should not be turned into a gross market. The walking street must be a special public space and a place for community and cultural activities, contributing to the preservation of cultural heritage as well as fostering the development of tourism and trade,” said a representative of a tourism agency in Hue city. According to Mr. Thanh, the city is currently making detailed plans and will try to make the most of the outdoor of the walking street. Apart from serving as the stage for big festivals, it will also be the space for culinary activities, exhibitions, art performances, fashion shows, etc., on Saturdays and Sundays. 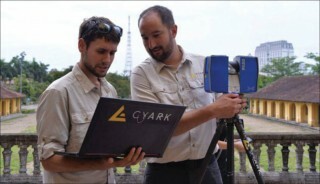 “At this stage, we will continue to finalize some parts of the plan. 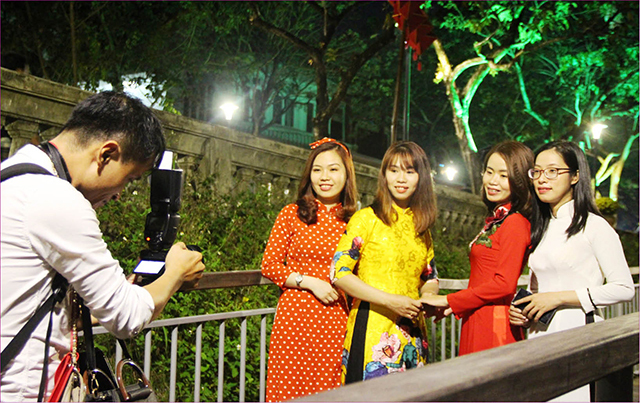 Meanwhile, cultural, artistic, and entertainment activities will be organized in the space of the walking street,” shared Mr. Thanh. 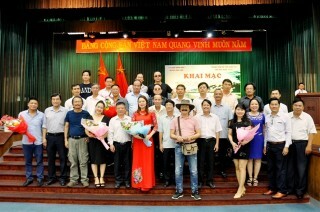 In addition, there will be 6 unified kiosks set up on Nguyen Dinh Chieu walking street. These will be the space for businesses to operate and sell traditional products such as Hue specialties and handicraft products, etc.